Wonky diamonds of yellow, pink, purple, and blue straight and jagged stripes arranged across a background of multicolored flowers, spots, and crosses on grey. 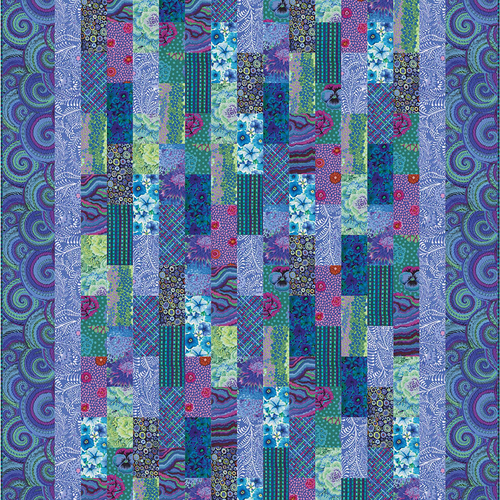 When it comes to fabrics, Kaffe Fassett has no equal! 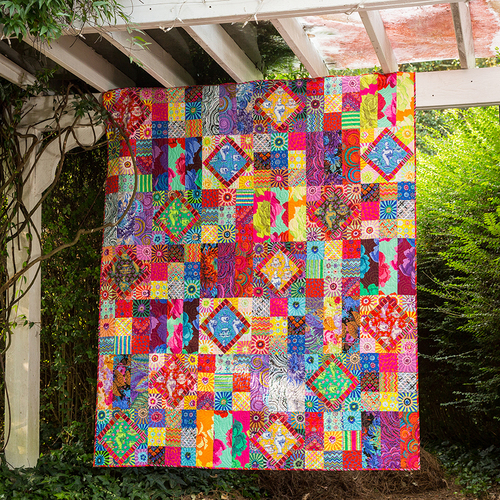 Enjoy the bright colors, fancy flowers, and abstract patterns that make Kaffe the one and only choice when it comes to unique fabrics.